Blanc on-location bridal salon is owned by American master stylist & make-up artist Neysa Quintana. She and her team of talented stylists absolutely LOVE weddings and stay up to date with the latest trends and techniques for bridal styling. With over 15 years of experience in the industry, you can relax and enjoy your big day with the confidence that you’ve never looked better. Blanc on-location salon offers luxury hair and makeup services for weddings and special events. We use only the best high-end products chosen specifically for Cabo’s changing climate. Schwarzkopf, Davines, Moroccan Oil & Oribe are used to achieve hairstyle designed to perfection. 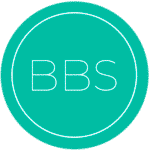 From loose up-dos, perfectly tousled down-do’s, and any combination of braided, bohemian, or vintage looks- our team is confident that we can achieve your perfect vision. Our make-up kits consist of only high-end products from NARS, MAC, Make-up Forever, Chanel, Urban Decay & Bobbi Brown. Additionally we offer: manicure, pedicure, massage, spray tanning, and airbrush make-up services. If you are a newly engaged, bride-to-be planning your destination wedding in Cabo San Lucas, Mexico you’ve come to the right place!! I can't thank you and your team enough for the amazing job you did for myself and 9 guests. You don't always know what to expect when planning a destination wedding, but I can tell you that Blanc’s Styling Team did above and beyond what I could have ever imagined. I hired them for all 3 days of events. Looking back at my photos from my rehearsal dinner and welcome party I'm so glad that I did. I definitely look like the best version of myself and felt beautiful on all 3 days. They are true professionals and handled everything from the first email to the final touches with professionalism and ease. Everyone absolutely loved their hair and makeup. It was’t overdone or cakey and photographed beautifully. I can honestly say that I’ve never felt more beautiful in my life - thanks to the amazing job that Neysa, Laura, Ivonne, and Eddita did. In addition to their amazing work, the whole team is so calming, professional and fun to hang out with!! I would highly recommend Blanc Salon to any bride getting married in Cabo!! 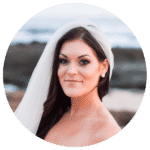 They exceeded our expectations & are by far the premier choice for hair and makeup in Cabo.I’m so glad I spent the extra money and didn’t go to the hotel’s salon, it wouldn’t have been the same experience & was the perfect way to start off my wedding day!! Thanks again for making my special day so beautiful!! I cannot thank Blanc Salon enough for everything they did to ensure my wedding day was perfect!! They somehow managed to expertly and flawlessly get TEN women red carpet ready in just a few hours. This was even more impressive considering that we had a girl miss her flight and a few other things we had to move around the last minute. They were able to accommodate our changes and handled all of it with professionalism and ease. Neysa took it all in stride and never gave off the impression that this was difficult or that I was asking too much. There were nine women of different ethnicities, ages and styles and Blanc’s team made sure that each one looked absolutely amazing. Looking at my photos I love how each of my girlfriends had a very modern and stylish look to them. Neysa nailed the 40's Hollywood glam style that I was looking for. I’m very particular and have had my hair & makeup done for weddings and special events in some of the best salons in Rome, San Francisco, NY, and LA, and I have to say that I've never been as happy with my look as I was with Neysa. She really is an artist with a very keen eye and knows exactly what to do to make each person look their best!! She's also extremely professional and effortlessly supervised her team to keep everything fun & running smoothly. A huge thank you to Neysa, Eddita, Laura and Jenna. You guys are rockstars!! I absolutely LOVED my hair and makeup for my Cabo weddig on 6/24! I am still getting compliments about them from our photos. I did airbrush makeup and it stayed perfect the whole night. Laura, Jenna, Naomi, Mariana and Yadira were all so talented and absolutely wonderful to work with. I'm not someone who is into makeup, and normally I don’t wear a lot - so I was pretty vague with giving them ideas. Needless to say they basically read my mind and gave me exactly what I was envisioning. Leading up to it I had a few calls with Neysa and Sandra which put my mind at ease. They were very responsive to emails and detail-oriented which made my wedding day enjoyable & stress-free. I’m so glad I choose Blanc Salon it was worth every penny!! We had a traditional Gujrati Indian wedding in Cabo and hired Blanc Salon to do all of our service thru out the week. We had over 200 guests and many events that I wanted to look perfect for. The salon at our hotel offered us a package at their salon (and it would have been much cheaper) but I’m so glad I spent the extra money and choose Blanc Salon. They are experienced working with Indian weddings and knew exactly what to do. They went over and above to make sure everything was just right. Thru out the week we had different teams of stylists. I can honestly say that each and every one of them were absolutely amazing!! All of my friends and family loved their hair and makeup - and we have A LOT of difficult women 😉 . They were able to get everyone done in a timely manner and we arrived to all of our events on time - looking beautiful. Additionally Sandra was a delight to work with leading up to the events. She responded quickly to our emails and made me feel comfortable knowing that everything would be perfect on my big day! Her attention to detail and ability to accommodate all of our requests and changes made me feel confident that everything would run smoothly. If you are an Indian bride getting married in Cabo I would HIGHLY recommend hiring Blanc Salon. Hair & makeup really are one of the most important parts of your wedding week. Let’s face it- if you don't look and feel your absolute best, nothing else is going to be right. The way you look and having a stress-free experience ultimately sets the tone for how the rest of your day will go. I’m so glad I made the choice to hire Blanc Salon - they really made each day start out absolutely perfect!! Neysa and her team were absolutely AMAZING! 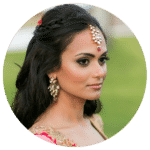 My photographer had recommended Neysa to us, and at first I was skeptical because the prices for hair and make up at our resort's spa were much cheaper, but I cannot have been more thankful that we chose Blanc Bridal Salon. They were very professional, easy to communicate with throughout the whole planning process, and they made getting ready the morning of our wedding stress-free and fun! These ladies were so talented, and provided a much higher quality of service than what would have been provided in our resort. I really can't thank them enough!